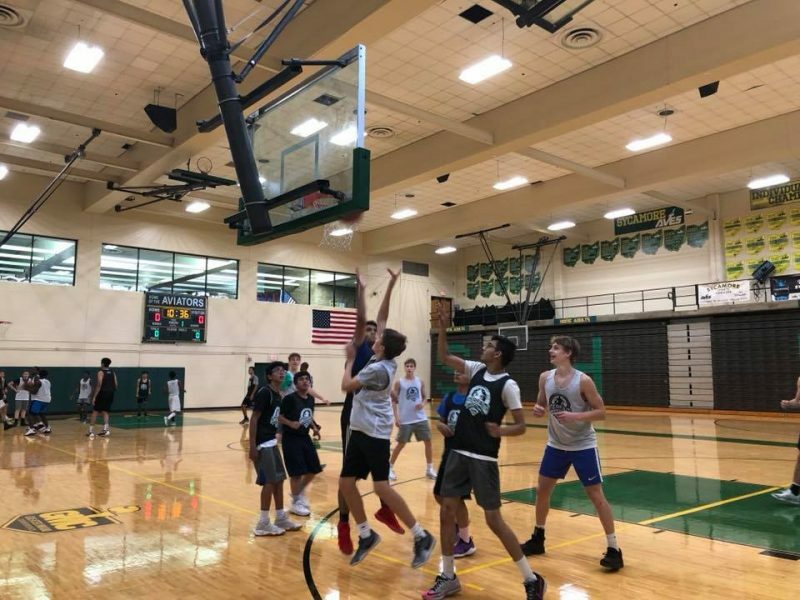 High school students from three faith communities, Christian, Jewish, and Muslim, played in the second annual Interfaith Basketball Tournament in September at Sycamore High School. How might we build on an experience that allowed 45 diverse youth basketball players to compete in an interfaith basketball tournament and create new friendships along the way? We asked ourselves this question while planning for the second annual Cincinnati Youth Interfaith Basketball Tournament in September. While last year’s tournament was impactful for those who participated, our goal was to create an even more engaging experience, where high schoolers from different backgrounds could truly come together to both compete and converse. That question guided our decisions to change the format of the tournament, add a girls bracket, and invite a halftime speaker to promote inclusivity, learning, and leadership. The tournament was organized by the Jewish Community Relations Council, the Islamic Center of Greater Cincinnati, and Crossroads Church and brought together players, friends, and families from three religious backgrounds. Held once again at Sycamore High School, 65 male and female high school players and their coaches from the Christian, Jewish, and Muslim communities showed up for an afternoon of friendly competitive sport and breaking down cultural barriers through basketball. In between games, players took a break to hear from former University of Cincinnati basketball player and President of Shining Star Basketball Alex Meacham, who spoke about his basketball journey, other life lessons, and how those impacted him. “This tournament was a great opportunity to start a conversation with someone you might not otherwise start a conversation with,” said Joshua Ridgeway, High School Director at Crossroads Oakley. The hope for this year’s tournament was not only to generate new conversations and surface different perspectives among players and their families, but to affirm the importance of appreciating diversity and inclusivity. To the players, basketball was not the only take away from the afternoon. “This tournament helps build peace and shows that we’re really all just people,” said Yousef Munir, one of the players. Both boys and girls saw an opportunity to expand their horizons beyond sports, into intentional gathering and meaningful fun that paves the way for authentic cultural and community exchange. As the organizers set their sights on next year, the tournament hopes to invite more faith communities into the mix, expanding player participation and greater community involvement. As we move forward, we must remember that it is our common interests that can unite a diverse community. “We bonded over basketball, and it was just a great day overall,” said Ben Peri, another player. Watch coverage of the basketball tournament on FOX 19.